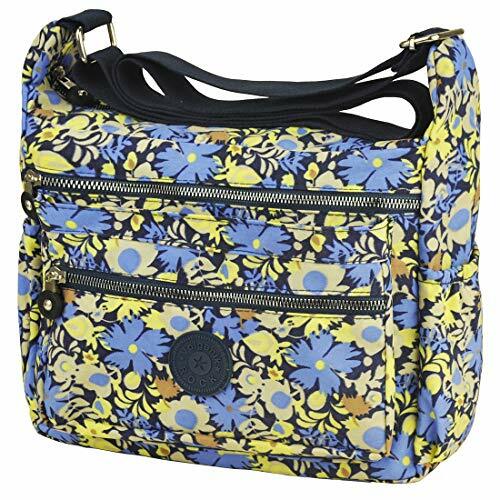 This is a light-weight purse, with long straps that you could wear cross-body when necessary, with plenty of pockets, and that would be somewhat water resistant if you got caught in the rain. The material is lightweight but not so thin that it would rip easily or immediately. It is large capacity,1 main compartment with zip, 3 front zip pockets, 1 back zip pocket, 2 side pocket,1 interior zip pocket, 1 interior slot, easy to carry all your stuff. It's not fancy or super expensive but it's attractive and functional.